Luxury beauty & clinical procedures = skin you love. At Soho Skin Management you will discover that traditional beauty, total body nutrition and cutting edge medical aesthetics can be artfully combined in a bespoke skin health program to deliver the most luxurious and effective facial & body treatments you have ever experienced. Our directing Para-Medical Skin Therapist, Maree Andersen, is renowned globally for a meticulous eye for detail, dedication to luxurious super facials and an in depth knowledge of skin functions, laser technologies & product ingredients. 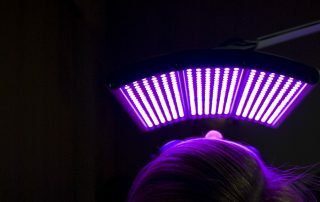 Certified in Skin Therapy, Nutrition, Aromatherapy, Reflexology and Non Invasive Laser Technologies means that Maree’s customized laser facials are a unique 5 star experience. With a passion for results, Maree specialises in gentle, tailored Laser Facials that activate your skins natural anti aging and repair processes to deliver outstanding long term effects in skin rejuvenation. Even problem skin is no longer a problem, damage can be reversed. Want an appointment for something specific? Here are some handy links to book popular services online immedicately, any time of day. If you just want the basics performed to perfection, we have you covered. Maree insists on all our beauty therapists being trained to the highest standards. 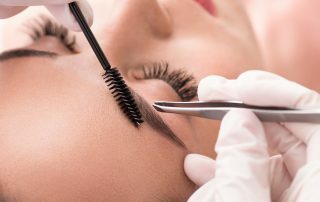 This ensures your regular maintenance treatments, waxing, microdermabrasion, brow sculpting & facials are detailed and allow you to leave our clinic feeling pampered and refreshed.